St Boswells Cricket Club values its sponsors both for the funding they give towards the running of the club, and also the services they provide. Sponsors also help with links to the wider community. Some of our sponsors have been with us for a great many years; their loyalty is greatly appreciated. 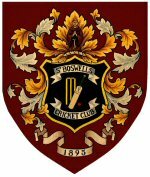 If you are interested in becoming a sponsor, then please contact the Sponsorship Secretary via secretary@stboswellscricketclub.org. We offer packages from match ball sponsorship, to boundary boards, to longer-term higher visibility options. We can also give publicity in exchange for goods and services. Set in the heart of the Scottish Borders the Buccleuch Arms is a charming four star Inn with an incredible history dating back to 1836. In recent years the Buccleuch has earned an award-winning reputation as one of the finest Inns in Scotland, welcoming both locals and guests from further afield. Charles Stanley & Co. Limited is one of the leading stockbroking and investment management companies in the UK, dedicated to serving the private investor. In addition we act for many national charities, trusts, professional institutes and major financial institutions. Charlesfield First LLP and its members Trevor Jackson and Iain MacKinnon are promoting the creation of rural, sustainable commercial opportunities at Charlesfield. Success will assist in further stimulating the Borders’ economy, both from within and from outwith the area by creating rural employment opportunities and by attracting inward investment. With over four decades of experience in the fencing trade DE Fencing Ltd has become one of the busiest and well-known fencing shops around. We are your number one choice for all security and commercial fencing, in Glasgow, Edinburgh and the Scottish Borders. Nestled in a magnificently wooded private estate on the banks of the River Tweed and immediately adjacent to the historic Dryburgh Abbey, Dryburgh Abbey Hotel is a very special 4 Star Country House Hotel. The Hotel is situated in the heart of the Scottish Borders and only one hour away from Edinburgh and Newcastle. Garden Options is the longest standing landscaping company in the Scottish Borders. As a company, we have a wealth of academic and practical qualifications and these have set us apart from our competitors. Founded in 1923 by George Oliver snr. the company was handed over to the next generation, also George Oliver. Now run by his son Douglas, the 6th consecutive joiner in the family, and still in the same workshop in St.Boswells. Hunters Taxi Hire is based in Selkirk, providing a friendly and reputable service for the Scottish Borders. Based in the beautiful Scottish Borders village of St Boswells (just off the A68), we are passionate about books, coffee and the pleasure of shopping for beautiful things. Whether you are based locally, visiting the area on holiday or just passing through on the way to Edinburgh or Newcastle, there are lots of reasons to visit. Milestone Garden and Leisure is one of the largest independent garden centres in the region. Not only do we have everything you need for your garden, we also stock an extensive range of products for your home as well as a huge selection of gifts, cards and not forgetting everything you need for pets. St. Boswells Mowers hire, sell and repair an extensive range of quality gardening equipment and small plant in the Scottish Borders. A local, family-run business with a wealth of experience, we regularly undertake both professional and domestic repairs and also provide a breakdown recovery service. These sponsors cover the cost of balls for home matches equivalent to an entire weekend’s play.